Malaysia’s GE-14 marks the end of Malaysian Chinese politics after 60 years of dwindling and divisive outcomes. The political issues the Chinese community face at the 14th general elections (GE14) hasn’t changed much for the past 40 years. Since the introduction of the New Economic Policy (NEP) in 1971, what the Malaysian Chinese community wants can be easily summarised in a single sentence: the community wants political equality and equal treatment, and a free hand in the economy. And an UMNO-led government will never grant these two wishes, now or ever. By almost every political measure, the Malaysian Chinese community’s political interests are systematically pushed aside in the name of a ‘Malay Agenda’, or to be blunt, in the name of the Ketuanan Melayu (Malay supremacy) ideology. It’s taken for granted that if a Malaysian Chinese company wants government business or to grow bigger, it needs one or two influential Malay partners, preferably one with a direct connection to UMNO. The gold standard is to have Malay royalty as your business partner. Politically marginalised by government policies, Malaysian Chinese sometimes call themselves ‘second class’ citizens. From the annual distribution of university scholarships and placements to business opportunities, being a Bumiputera Malay means you have the first bite. In the economic arena, big government projects are usually granted first to Malay-majority companies or joint-ventures between Bumiputera Malay and Malaysian Chinese business people. Many government projects and procurements require the bidder to be Bumiputera-majority companies. In practice, non-Bumiputera companies are simply not allowed to take part in the tenders. This is the reason why the Chinese-based parties in the UMNO-led Barisan Nasional (BN), the most prominent being the Malaysian Chinese Association (MCA) and Gerakan, do not substantially discuss public policies of national importance. They accept initiating important public policies are the purview of UMNO. 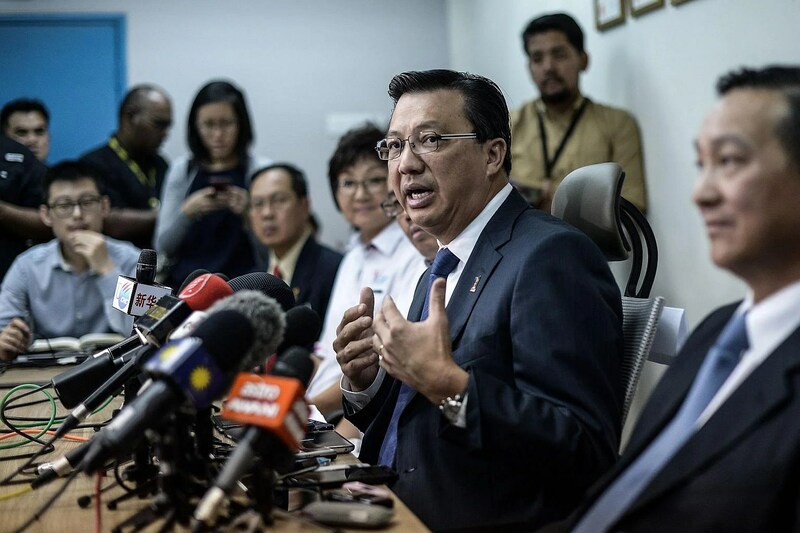 The MCA and Gerakan’s roles are to react to the policies after they have been adopted by the government, and political success is measured by their ability to tone down or blunt the policies that often hurt Malaysian Chinese interests. Both the MCA and Gerakan have defended their legitimacy over the past four decades through “service politics” rather than advocating political equality. The MCA and Gerakan systematically established ‘service centres’ to help constituents with day-to-day problems rather than dealing with policy issues. Constituents can seek assistance in their dealings with government departments, or welfare assistance such as applications for the government’s BR1M cash handouts. This model has proven effective for the BN Chinese parties at a local level as municipal councillors are directly appointed by the BN government. At the same time, the BN Chinese parties also engage in ‘fear politics’. They insist that without their presence in the federal cabinet and state governments, the implementation of Ketuanan Melayu will be even more severe for the Malaysian Chinese community. By claiming to blunt or modify the sharper aspects of pro-Bumiputera policies, these parties defend their relevance in the BN coalition. THIS METHOD HOWEVER fell apart in 2013. At the 13th general elections (GE13) in 2013, then MCA President Dr Chua Soi Lek took a political risk by declaring to the Malaysian Chinese community that MCA would not join the UMNO-led government if it failed to win the support of the community. This desperate move backfired and the MCA suffered heavy losses at GE13, ending up with only seven parliamentary seats and 11 state seats. Chua kept his promise and the MCA declined all appointments to the federal cabinet. Within a year however, Dr Chua was defeated in a party election by Liow Tiong Lai, who stood on a platform of “returning to cabinet to represent” Chinese interests. To UMNO’s credit, it stood by its oldest ally, probably knowing that the MCA’s losses were due to UMNO’s aggressive Malay agenda. The MCA was duly given two cabinet posts in the federal government plus other positions after Liow’s party victory. This was a watershed episode in Malaysian Chinese politics. The Chinese community learnt that life goes on without any MCA representatives in the cabinet. The MCA, or for that matter, any Chinese representation in the federal cabinet, did not alter their daily lives. The Malaysian Chinese business class could not care less as they have been directly doing business with UMNO proxies for decades. The stark truth is that the Malaysian Chinese community does not count politically at the highest level of BN government. While the MCA “in and out” saga was going on, the Malaysian Chinese community could see that Penang’s DAP-led state government, and DAP representatives in the PKR-led Selangor state government (elected in 2008), were doing a good job in ensuring that anti-Chinese policies at the state level were kept to a minimum. While affirmative action policies were still being pursued, the Chinese community could see that more resources were being channeled into Malaysian Chinese-owned small and medium-sized enterprises (SME), and the Chinese schools sector. In other words, it was possible to pursue both Malay interests and Chinese interests in most areas. The general perception among Malaysian Chinese was of an UMNO-led government pursuing Malay interests at the expense of Malaysian Chinese interests. Blatant attacks and insults against the Malaysian Chinese community by Malay and Islamists right-wing groups in the past few years have only hardened the attitude against UMNO. It does not help that senior UMNO officials come out regularly with blatantly anti-Chinese statements. An infamous incident was a senior UMNO minister telling Malays to only shop from a Malay-owned shop, which he later followed up with a government-funded project to build a Mara digital mall where only Malays could rent the stores. Is it any surprise that UMNO is seen by most in the Chinese community as the purveyor of anti-Chinese racism? On top of this, most in the Chinese community believe that Prime Minister Najib Razak was involved in the 1MDB corruption scandal. Not only is UMNO allegedly racist, but its leader is an alleged kleptocrat as well. 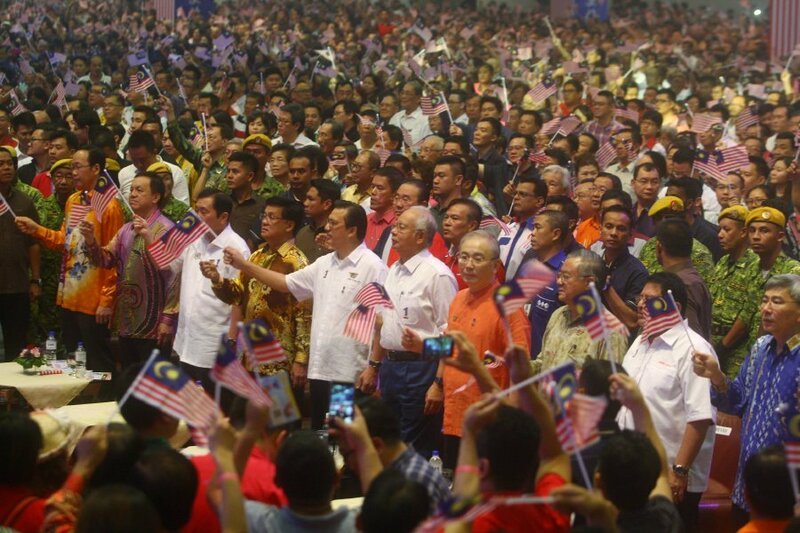 At GE-14, the MCA has modified its ‘participation in government’ rhetoric with a new twist. Rather than just saying that the Malaysian Chinese ‘voice’ will be missing if they are not elected into any federal cabinet, the MCA has trumped up its role as a bridge between Malaysia and China’s One-Road-One-Belt (OBOR) project. In MCA contested constituencies, there are prominent billboards of MCA leaders meeting President Xi Jinping and other China leaders. The message can not be clearer –the MCA is gaining importance in the UMNO-led government because the massive investments in the Malaysia-leg of the OBOR projects. And this will require the MCA’s expertise and links with China. UMNO needs the MCA as UMNO needs the OBOR-linked investments. With China’s rise as the regional power, UMNO will have little choice but to take the MCA and Malaysian Chinese more seriously. WILL THE MALAYSIAN Chinese community heed the MCA’s new approach? The short answer is ‘no’. The MCA (and Gerakan) do not seem to realise that the Malaysian Chinese community has moved beyond these parties’ style of ‘service and fear’ politics. Because of their inability to rollback alleged anti-Malaysian Chinese policies of the past decades, they will not buy the argument that China’s rise will lead to a similar rise in the MCA’s reputation for UMNO. They see the MCA as a party of opportunists who are getting personal benefits by agreeing to be UMNO’s Uncle Tom. This view is so ingrained in the Malaysian Chinese community since 2008 that only a mass hallucination will alter this view. Most of the parliamentary seats won by the MCA and Gerakan are in constituencies where there is a high percentage of Malay voters. 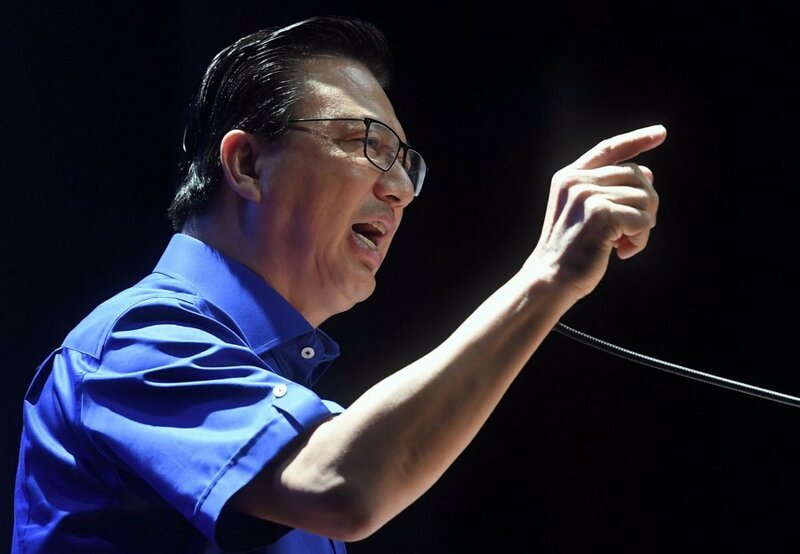 The incumbent MCA President Liow Tiong Lai is standing in Bentong where 47% of voters are Malay, while Gerakan’s president is standing in Teluk Intan, a constituency where 41% of its voters are Malays. UMNO delivers the Malay voters to the MCA and Gerakan, thus enabling the incumbent to win the seats with only 10 to 15% of Chinese votes. In constituencies where there is a clear Chinese majority, the winner in almost all cases is the DAP. *This was the notorious headline run by UMNO-owned newspaper Utusan Malaysia in the aftermath of GE13, scolding the Malaysian Chinese for the party’s poor results. Posted in Barisan Nasional, Democracy, GE-14 Malaysian General Election, GE13, Malaysia, MCA, Najib Razak, New Mandala.org, Politics, Race Relations, Racial Discrimination, The Malays, UMNO, UMNO-BN. 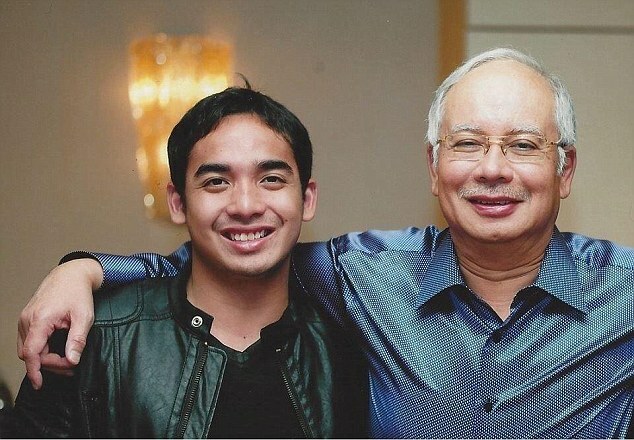 I just feel a little funny – Prime Minister Najib Razak wants MCA to win more seats to justify its number of posts in the cabinet. Former MCA President Chua Soi Lek, on the other hand, prefers MCA to stay out of cabinet since the party performed poorly during the last general election. 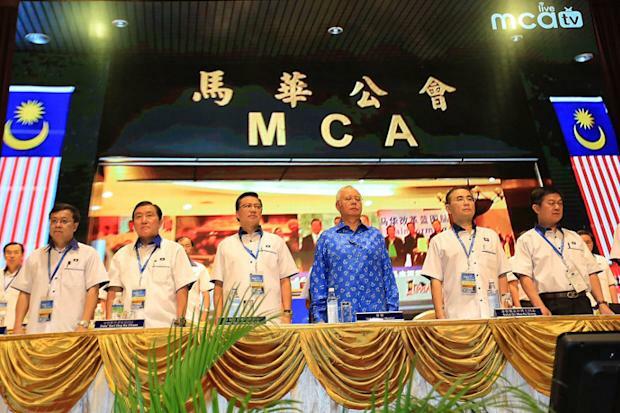 To me, MCA has worked itself into a position where it cannot win. The party has been and will continue to be a scapegoat, a victim of circumstances, a stooge, a subservient appeaser, and even a beggar. Successive waves of MCA leadership have remained hapless, unable and unwilling to speak up honestly and forcefully to defend the party’s position. As a consequence, the rights of Chinese Malaysians whom the party purportedly represents have also been compromised or eroded. At the same time, how dare some UMNO leaders blame MCA for being hapless and unable to perform? How dare UMNO continue to blame MCA for depending on Malay votes to survive? Are UMNO and MCA leaders so blind to the fact that it was precisely the policies and governance of UMNO that caused the gradual demise of MCA? MCA is expected to face a dominant UMNO, no doubt about that. But both UMNO and MCA must ensure that dominance is tempered with fair play, moderation and a genuine sense of power sharing. Did MCA speak up forcefully and cogently on issues fundamental to Chinese Malaysians? Did UMNO listen and give due consideration to the grouses raised? Did UMNO give in on an issue based on what the party was willing to give or based on what was demanded by MCA? To me, MCA is always pleading and begging but I don’t see UMNO conceding anything other than trivial matters or on a piecemeal basis. How then can UMNO expect MCA to perform and enjoy continued support from those the party claims to represent? If MCA can’t speak of policies and governance, how is the party supposed to operate? So here is my opinion on Chua Soi Lek’s recent statement: it does not matter if MCA is in the cabinet or out of it. The fundamental issue is whether MCA is willing and brave enough to speak up. Also, it is fundamental whether UMNO is willing to listen and compromise, based not on what the party is comfortable with giving, but on a genuine sense of fairness and inclusiveness. Very often, we hear UMNO complaining of its sacrifices to carry the burden of MCA’s lack of support. Well, I have another idea: it is MCA which has been carrying the burden for UMNO for far too long, so much so that the party is losing its relevance. There will be positions and perks to be enjoyed by MCA. But it can’t go on forever if the party has been ineffective. Sooner or later, people at large will realise that it does not matter whether MCA is in the cabinet or out of it. Posted in Democracy, GE-14 Malaysian General Election, Malaysia, MCA, Najib Razak, Politics, The Malays, UMNO, UMNO-BN. At last year’s UMNO General Assembly, Prime Minister Najib warned members of his party that the DAP, which is regularly derided as a “Chinese party” (and taken as code for Chinese in general), posed an almost existential threat to the Malays and Islam. Should UMNO fall, he intoned, it would be a “nightmare” that would jeopardise the very existence of Malay-Muslims in the country. Taken together with the slew of anti-Chinese comments that came out of that assembly, the message was clear enough: only UMNO could defend Malay interests from the so-called Chinese threat. Having unabashedly fanned the flames of anti-Chinese sentiment to consolidate his grip over the party and to secure Malay support for UMNO, he turned his attention on Friday to cajoling Malaysian Chinese into giving him their support, suggesting that their very survival might now depend upon it. While he subsequently went on to make references to the IS threat as well, his message was widely perceived as a warning to Malaysian Chinese that if UMNO loses power in the next elections, they would be the first to be targeted. For a country still traumatised by the 1969 race riots, the warning to Malaysian Chinese was undoubtedly clear. In the wake of the furore that the Prime Minister’s remarks quite naturally generated, MCA leaders went into damage control mode claiming that his remarks were taken out of context and that he was referring more to the IS threat rather than anything else. In the first place, Najib’s remarks as well as his intentions were clear enough to most people who saw the video which quickly went viral. 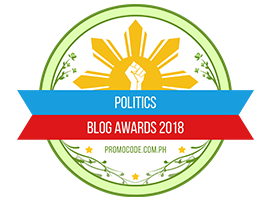 In these days of instant replay, claims by politicians to have been misquoted or misrepresented are harder to sustain. In the second place, there has never been any indication that Malaysian Chinese are the primary target of ISIS. According to the Police, ISIS has targeted our security forces and senior officials, endeavoured to disrupt the SEA games and the Merdeka celebrations, and planned attacks on some churches; no mention of Malaysian Chinese specifically. If anything, it is Muslims themselves that have suffered more from IS attacks than others. In any case, if there were doubts as to the real meaning of his remarks, a simple clarification by the Prime Minister would have quickly settled the matter. That he has preferred to let things simmer suggests otherwise. In the absence of further clarification from the Prime Minister, we are left with the strange conclusion that Najib is now demanding Chinese support on the grounds that only UMNO can protect them from the very racism which UMNO itself champions and thrives upon. 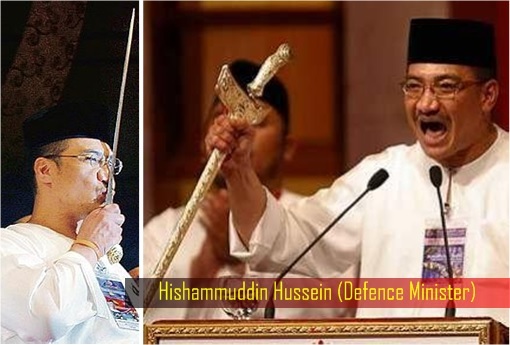 Taken to its logical conclusion, it means that UMNO will now be defending the Malays from the Chinese and the Chinese from the Malays while simultaneously instilling fear in both. What a cunning strategy to ensure that it remains the indispensible political party! The British would, no doubt, be envious of his divide and rule skills. 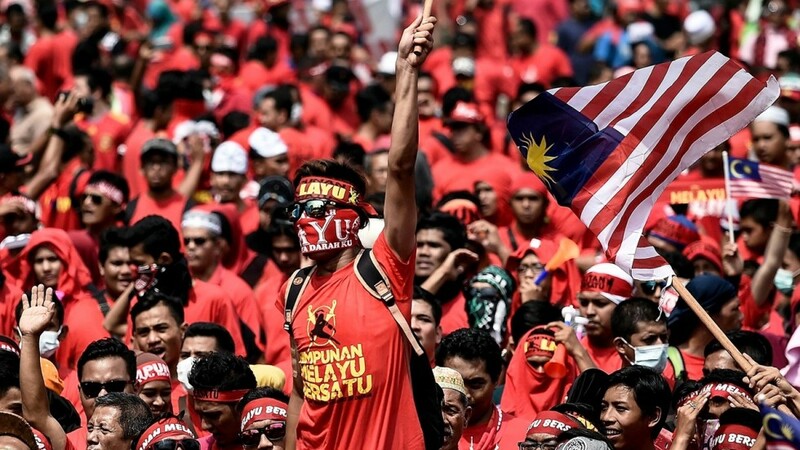 If Najib and UMNO truly want to win the support and admiration of all of Malaysia’s diverse ethnic groups, he should first and foremost put an end the racist politics that has become synonymous with his own party. As well, instead of making threats, he should ensure that the security and rights of all citizens are protected and safeguarded at all times, whether they vote for him or not. It is, after all, his constitutional obligation, his sacred duty, his solemn oath to the nation. Appeal for support by all means, but to threaten an ethnic community the way he did is simply beyond the pale. For the MCA, the rally, which was called to help revive support for the party ahead of the elections, has turned into an unmitigated disaster, laying bare the disdain that UMNO leaders have for minority parties and generating a new wave of disgust and anger among its erstwhile supporters. 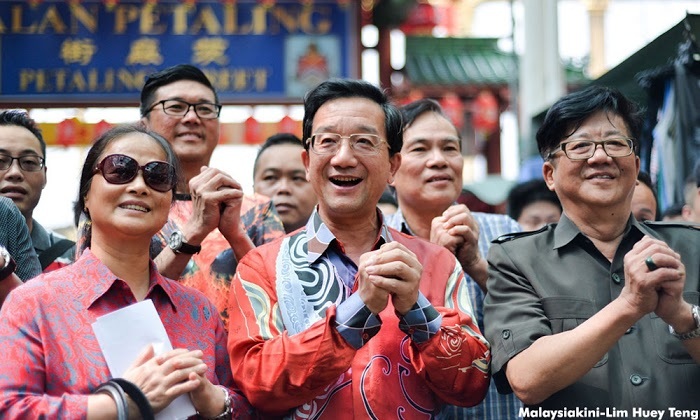 The Hero of Petaling Street–China will protect its Diaspora. Malaysian Prime Minister will have his cojones squeezed if he allows UMNO Red Shirt Gangsters to harm the Chinese. In the light of these developments, one can only wonder whether the hero of Petaling Street, the urban legend who single-handedly stared down the Red Shirts a few years ago and prevented a bloodbath in the centre of Kuala Lumpur, is quietly mulling his options. Posted in China-Malaysia Relations, Democracy, Kleptocracy, Malay Fascists, MCA, Najib Razak, Politics, Race Relations, Racism, Security, The Malays, The Red Shirts, Tun Dr. Mahathir Mohamad, UMNO. Forex, Maminco, Cowgate, Mara, FGV, 1mdb…what next? COMMENT | Dr Mahathir Mohamed recited a sajak (poem) entitled ‘Melayu Mudah Lupa’ (Malays forget easily) at the 2001 UMNO General Assembly. After 16 years, is it still appropriate or does one word need to be changed? Replacing “Malays” with the “Malaysians” would better describe how events and scandals of yesteryears have been consigned to the burial grounds and entombed. But even the dead can be awakened for political expediency. After 30 years, the ghost of the foreign exchange market (forex) losses, said to run into billions of ringgit, has arisen from the grave – with hopes of it demonising the leading opposition figure, Mahathir. So, a Royal Commission of Inquiry (RCI) has been set up and will soon start the proceedings, in the hope of establishing a host of facts. There’s certainly nothing wrong with this – perfectly legal. Using provisions provided in the Federal Constitution, the system allows Joe Public to have privy and access to the reasons for decisions to the commitments made by our leaders and their reasons for doing so. But what can RCIs do? What does our government do with the findings? What happens after the findings? Will they bring about changes or will they be consigned to gather dust in some steel cabinet in Putrajaya? There have been many, but let’s look back at just two. The first was on the VK Lingam video and the other was the RCI on illegal immigrants in Sabah. In 2007, a five-man panel chaired by the former Chief Judge of Malaya, Haidar Mohamed Noor, examined a video clip allegedly of lawyer VK Lingam (photo) being involved in the manipulation of judicial appointments. 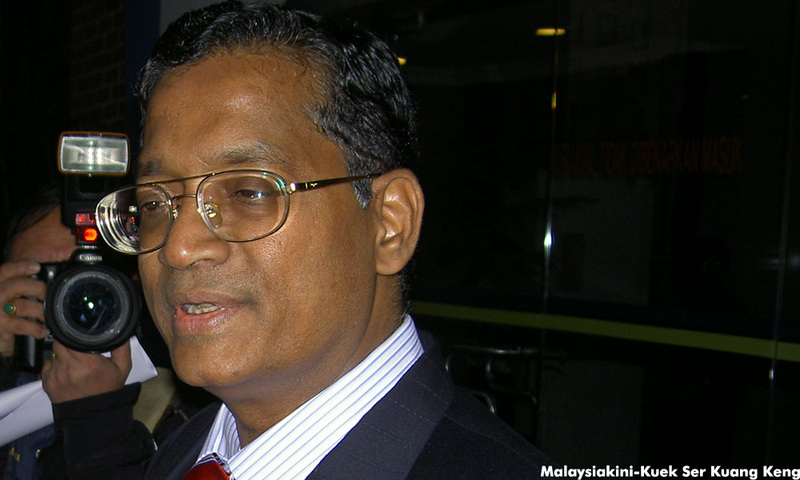 Subsequently, Lingam was barred from practising in 2015, but he has since challenged the decision of the Bar Disciplinary Committee, which found him guilty of interfering with judicial appointments. The case is scheduled to be heard next month. In 2013, the former Chief Judge of Sabah and Sarawak, Steve Shim, chaired a five-man panel to investigate “Project IC”, in which citizenship was allegedly given unlawfully to illegal immigrants in Sabah during the Mahathir administration for electoral support. After hearing 211 witnesses and recording more than 5,000 pages of evidence, the panel concluded that “Project IC” probably existed. It recommended the formation of a permanent secretariat, along with either a management committee or a consultative council, to address the issue of illegal immigration in Sabah. But the immigrant problems still continue to prosper across the porous borders between Malaysia and The Philippines. Against such backdrops, what would yet another RCI bring about? For a while, the proceedings will be the talk of the town, after which, it will enter into a sleep mode to be awakened when yet another scandal surfaces on our shores. Can someone update Malaysians on the National Feedlot Corporation (NFCorp)? On July 25, 2013, NFCorp chairperson Mohamad Salleh Ismail (photo) told a press conference that Japanese company, Kirimitonas Agro Sdn Bhd, had agreed to purchase its entire shares and related companies, and accordingly take over all the assets and liabilities, including the RM250 million loan with the Malaysian government. Two weeks earlier, the then Finance Minister II Ahmad Husni Hanadzlah, told Parliament that the government had recovered RM79.9 million from the RM250 million it loaned NFCorp. Ahmad Husni said the government also sealed NFCorp’s assets worth RM23.3 million – two pieces of land in Putrajaya, two units of real estate in Menerung Township Villa and three plots of land in Gemas. “Out of the RM250 million, close to RM80 million has been received and RM170 million is yet to be received,” he said when winding up the debate for his ministry on the motion of thanks for the Royal Address in the Dewan Rakyat then. Ahmad Husni said the Finance Ministry took three steps to resolve the NFC project controversy, namely bringing the case to court, taking over or getting back the amount owed and the assets, and finding a new company to continue the project. What happened to the real estate that was seized? Can someone give Malaysian taxpayers a status report on the case? After all, RM250 million belonging to the people was given in loans and surely, the least we can expect is some decent, truthful answers. No need for an RCI to tell us how the money for cattle breeding was used to buy luxury condos and property. Almost two years ago, Mara, its associated companies and senior officials were caught with their hands in the cookie jar. They were involved in a multi-million ringgit scandal where buildings (student accommodation) in Melbourne were bought at inflated prices and the difference filtered down to some people’s pockets. Police reports were made; the Malaysian Anti-Corruption Commission briefly detained a couple of people, and the Mara Chairperson was replaced. So, what happened to the investigations? Have the crooks been brought to book? Some of them are driving around their Porsche cars, acting as if nothing ever happened. The construction of the Port Klang Free Zone (PKFZ) was the biggest financial scandal in the country prior to the emergence of an entity called 1Malaysia Development Bhd (1MDB). Six people were charged and all were acquitted. But, if no one is guilty, then the question is: Where did our money go? The government continues to service the loans taken by the developer. Even as this is written, the Port Klang Authority (PKA) owes the Treasury billions of ringgit. By the year 2051, PKA’s commitment will accumulate to RM12.4 billion. How is it going to get the money? As a regulatory body, its revenues are meagre. Did anyone think about an RCI to get to the bottom of the issue? Bottom line: The loan will be written off and we, the people, will have to bear that burden. There are dozens of other instances or issues that may not be of the magnitude of the forex losses but have made headlines that require some form of inquiry. The obvious one is the 1MDB, which has made headlines all over the world for the wrong reasons. But does the government have the political will and determination to get the bottom of all these, especially the Mother of all Scandals? Posted in 1MDB Financial Scandal, Corruption, Economy, Fiscal Mess, Governance, Judiciary, Kleptocracy, MACC, MCA, Money Laundering, Najib Razak, PKFZ, Politics, Public Accountability, Rule of Law, Tun Dr. Mahathir Mohamad, UMNO, UMNO-BN, VK Lingam RCI. 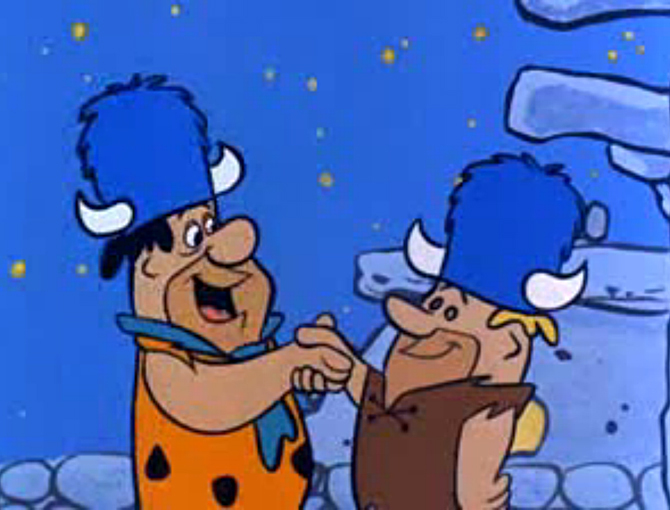 UMNO’s Grand Poobah and Poobah Jr.
Not many people know this but close friends know that I have a soft spot for Barry Goldwater; some mistakenly now say was the Donald Trump of his time. Far from reality of course but American punditry being what it is, these misconceptions are peddled as the truth. The above quote deals with Christian American extremists but replace Christian with Muslim, the general principle shines through that religion and politics do not mix. However, PAS’ latest hissy fit that it would derail the proposed amendments to the Law Reform (Marriage and Divorce) Act 1976 in retaliation for non-Muslims interference for their carefully laid out plans for turning Malaysia into an Islamofacist state is laughable because these amendments are needed as Islam often interferes in the private and public lives of non-Muslims in Malaysia. PAS Secretary-General Takiyuddin Hassan talks about “playing fair” but I would argue that people who oppose this bill are the only ones who are thinking fairly in this country. In numerous articles, I have explained how Islam has had an overt effect on the non-Muslims polities of this country. The literature of how a Wahhabi-influenced Islam has taken this country down an intolerant road is cogent, probative and indisputable. This threat by PAS is exactly why many others and I warned the opposition that they were playing with fire when they embraced PAS and propagated the ‘PAS for all’ propaganda. I know many opposition supporters have no interests in articles like these but instead of going after MCA when it comes to this issue, there should be some attempt at bipartisanship between the opposition parties and their BN counterparts. 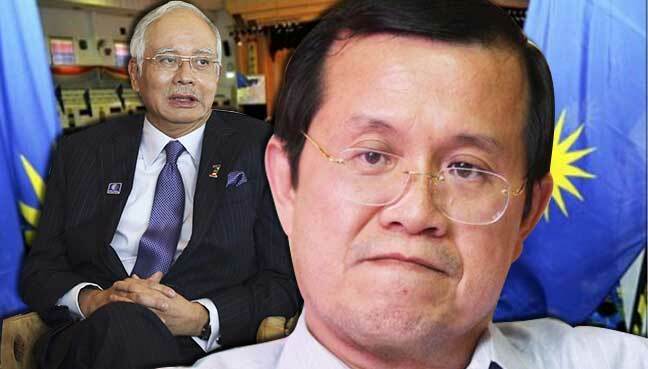 This need not be a hug fest but when a BN component party takes a position that aligns with the opposition, the discourse should be moved in the direction of commonality instead of wallowing in the clichés of “running dogs” and dredging up the numerous scandals of the Najib regime that frankly has not gained traction where it counts. This is why MCA religious harmony head Ti Lian Ker’s response against PAS’ threat is something that Malaysians should take heed of instead of merely indulging in partisan politics. While MCA President Liow Tiong Lai’s clarification on his conflicting stand on hudud is welcomed, Malaysians should also take heed of what MCA Wanita chairperson Heng Seai Kie said of the wakil rakyat being elected to serve the people instead of representing the preoccupations of a certain faith. Moreover, honestly MCA has by far had a more accessible position on this subject instead of the conflicting messages coming out of the Muslim wing of the opposition front and their non-Muslim supporters. He reaffirmed the secular and egalitarian principles of a functional democracy and judicial system. Furthermore, he reminded these religious extremists that all Malaysians should be treated equally before the legal system and that penalising a specific polity because of their faith, should be unacceptable for those claiming to want an egalitarian Malaysia. (2) Ti said there was no such thing as quid pro quo when it comes to protecting the constitutional rights of all Malaysians. There can, and should be, compromise in certain issues but when it comes to the constitutional rights of Malaysians, there is no such thing as compromise. We do not barter certain rights at the expense of our Muslim brothers and sisters. I would go further. I want a signed declaration from Muslim oppositional MPs that they will not support PAS president Abdul Hadi Awang’s bill and will endorse the amendments to the Law Reform (Marriage and Divorce) Act 1976. Why is this important? Besides the obvious reasons of course, but the reality is that for far too long Muslim opposition MPs have played this game where they paid lip service to secular and egalitarian principles because they did not want to be perceived as going against Islam and the Malay community. Well guess what, by virtue of being an opposition MP, the narrative has already been established and promulgated that opposition Muslims MPs are collaborators with the Chinese DAP, agents of foreign powers, aligned with the LGBT (lesbian, gay, bisexual and transgender) movement, enemies of Islam and traitors to the “Malay race”. There is really no drawback for publicly stating your position on this bill, unless of course your position is that you don’t support this bill, then the question becomes why is it, Malaysians who want change are voting for you? 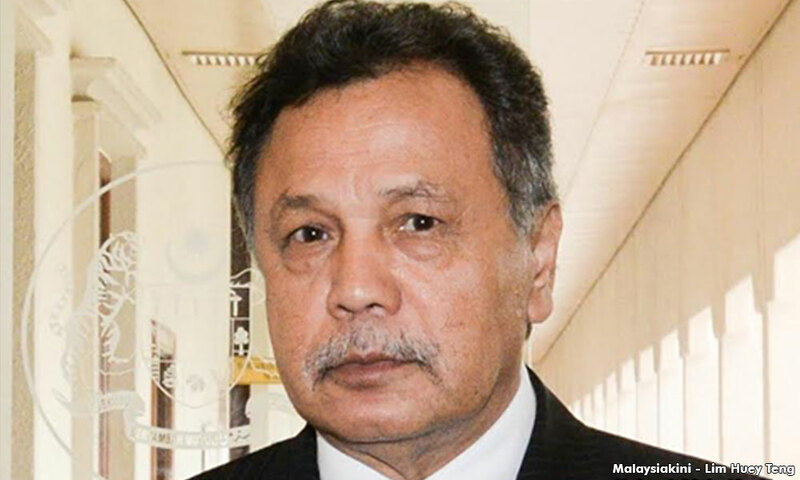 The honourable gentleman from Ipoh Barat has always managed in a calm rational manner to point out truths without slipping into the deep partisanship that is contemporary Malaysian politics and has always been a thoughtful politician who writes on issues without banging the war drums – unless needed. Kulasegaran’s and Ti’s positions should be the common stand taken by MPs regardless of party affiliation and is the kind of position that BN and opposition MPs should get together on instead of grandstanding. If Muslim opposition MPs really care about the future of all Malaysians, they will not support a bill that would ultimately destroy the Malay community. And that’s a religious truth you can have faith in. Posted in Barisan Nasional, Bersih 4.0, Hudud, MCA, Najib Razak, Politics, UMNO. The analyst also goes into The New York Times (NYT) report on Monday on the US Federal Grand Jury on Najib. Malaysia’s Leader, Najib Razak, Faces U.S. Corruption Inquiry. Najib, noted the analyst, faces at least two other international investigations against him besides the US Federal Grand Jury i.e. one by the FBI and another by the Attorney-General in Switzerland. There are also reports against him, said Shahbudin, in the UK, France, Hong Kong and Singapore. Posted in 1MDB Financial Scandal, civil society issues, Corruption, Governance, Malaysia, MCA, Najib Razak, Public Accountability, UMNO.